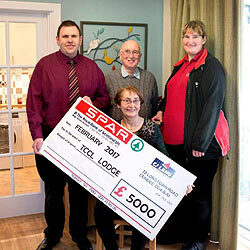 SPAR St Andrews, owned and operated by CJ Lang and Son Limited has recently donated a generous £5,000 to TCCL Lodge. 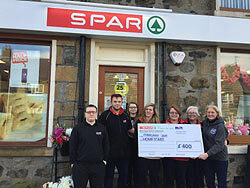 SPAR Banff, owned and operated by CJ Lang and Son Limited has recently donated a generous £400 to Home-Start charity. 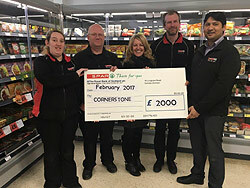 CJ Lang and Son Limited, owners and operators of SPAR Scotland donated a generous cheque for £2,000 to Cornerstone charity. 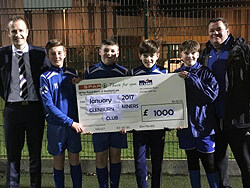 SPAR Prestwick, owned and operated by CJ Lang and Son Limited has recently donated a generous £1,000 to Glenburn Miners Football Club.